Are you ready to sell your home? Or just trying to increase your home value? Most people assume the only way to increase the value is by doing massive changes to your home. But doing the right types of updates can be more crucial than doing a lot of updates. We have compiled a list of updates that follow the trends of the housing markets and that will help you increase your homes value. Stainless steel appliances have been around for decades. They convey a clean, contemporary and timeless design. When buyers see stainless steel their minds automatically think the kitchen has been updated. Lots of brand like LG, KitchenAid and Samsung now offer black stainless steel. This is a softer looking finish that is less reflective and shows less fingerprints all with the same look and feel as the original stainless steel. Quartz countertops are made from stone chips, resins, and pigments. Quartz is quickly becoming the go-to choice of counter top for many as it conveys the same look as marble and granite in higher-end kitchens. Its very scratch resistant, cut resistant and holds up to heat. This upgrade will cost you $40 to $100 per square foot installed. A Neutral color scheme with whites and off-whites is still the way to go. It is the number one selling interior color and will appeal to a larger amount of home buyers. It allows toe buyers to envision their furniture and so on in the space without worry about clashing colors. According to Jule Eller, trend and style director at Lowe’s neutral colors appeal to all generation of buyers. Smart homes are the new trend on the market. The devices can sometime be very expensive to add to your home. However some devices that have been around longer have started to drop in prices. 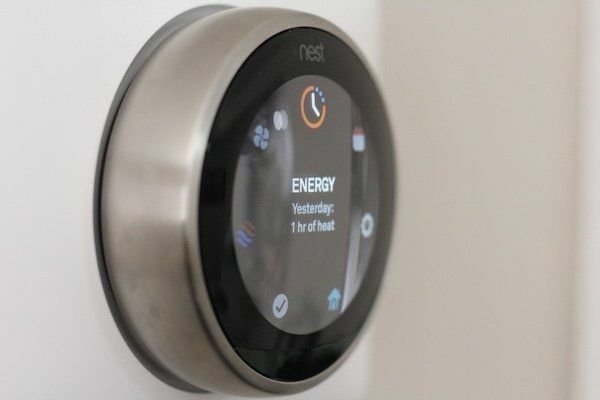 Programmable thermostats such as Nest and Ecobee can now be bought for under $200. Installing one of these will automatically make a buyer think that your house has been updated. LED lights will also make buyers feel that there was some attention paid to updating the house. These lights last up to 23 years and are more energy efficient. A buyer will definitely want to know how much the electric bill usually runs when buying and having LED lights that drive your energy costs down will always be a plus. Want to learn more about Patrick Square? Contact us to schedule your visit today! Receive real estate updates, community news and information on upcoming events.